All this is seen, very usefully, through a young person’s eyes, and so is stripped of fossilised narratives and assumptions. For once on this contentious topic, the absence of context is actually illuminating. “The Wall” is a book felt rather than thought, felt primarily through Joshua’s body, viscerally, in the details of the emotional jolts to his metabolism. It makes for fast-paced, exciting reading. From Joshua’s football partner arguing there’s no such thing as a foul if there’s no ref present, to a cartoon of a large dog stealing a bone, the novel is littered with light images which bear heavy connotations only if you choose to notice them. 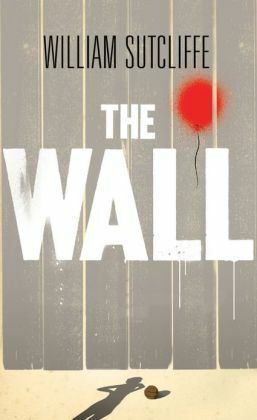 “The Wall”, amongst many other things, is a coming of age novel. Taking sustenance from ghostly or substitute fathers, Joshua discovers his independence (finding “an edge, where I stop and Mum starts”), makes good a secret project, faces down the monstrous false father, and finally escapes, but only from one lie to another. The end is inspiring, delivering the spine chill that a good novel should, but is in no way romantic or idealised. Full liberation is delayed, as in the unspoken context it must be.